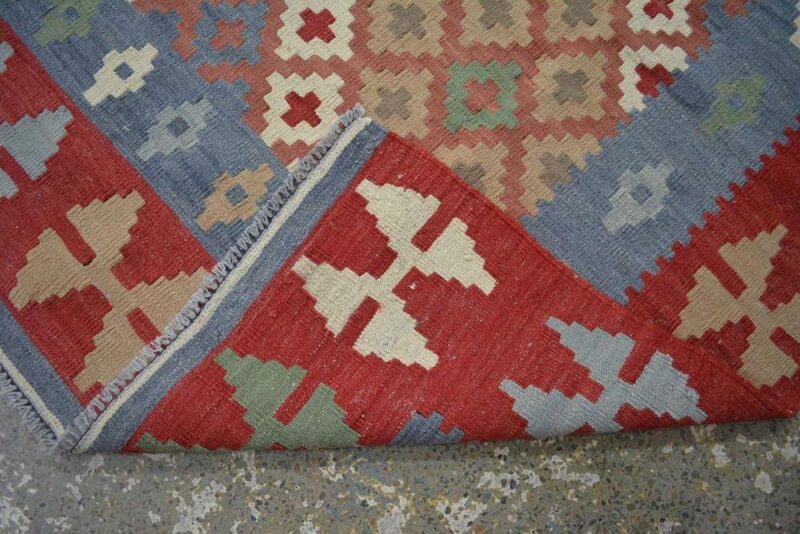 Our Aryana kilim are our premium hand woven collection. These beautifully coloured vegetable dyed kilim were knotted in Andkvoy, Faryab province in North Central Afghanistan. 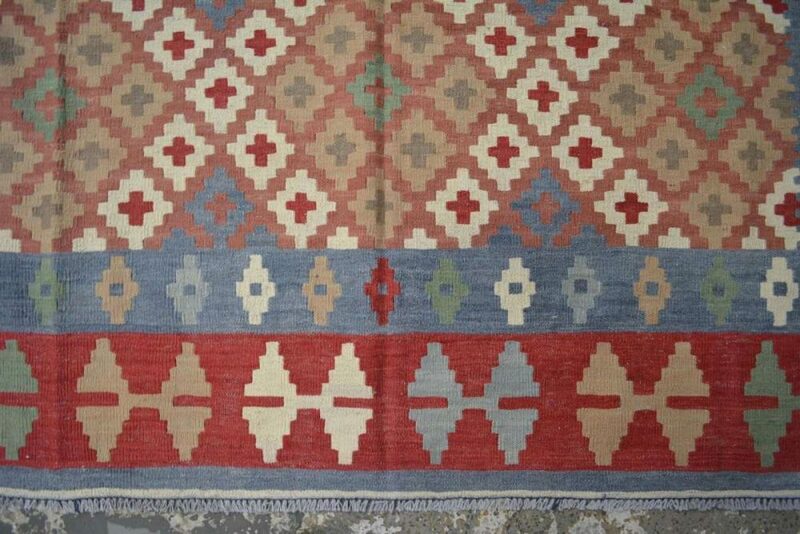 The weave of these kilim rugs are quite similar to that of Turkish kilim rugs being very tightly woven and strong. They sit nicely on the floor and are very hard wearing. SKU: F454. Categories: KILIM SALE, KILIM. 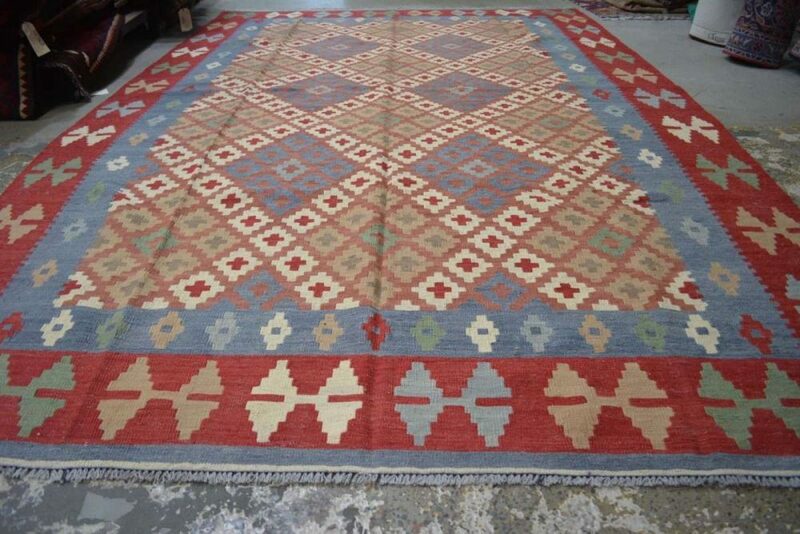 Tags: kilim kelim, kilim rug sydney, kilim rugs, melbourne turkish rugs, turkish rug melbourne, turkish rug sydney, turkish rugs, turkish rugs melbourne, turkish rugs online. Kilims have become highly collectible in recent years, and their accessibility makes them great for people looking to invest in their first rug. For those looking for genuine authenticity, kilim rugs are still created using village-specific patterns and aren’t often created for export. 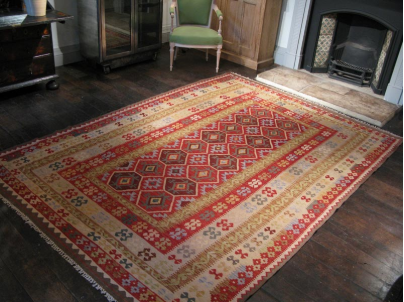 Like all of our carpets and rugs available in store or online through West End Co., every kilim rug is unique and can also serve as a fine collector’s item. If you are looking for a genuine Persian rug or Afghan rug, please visit our store in Brisbane or buy from our e-commerce site for quick home delivery. 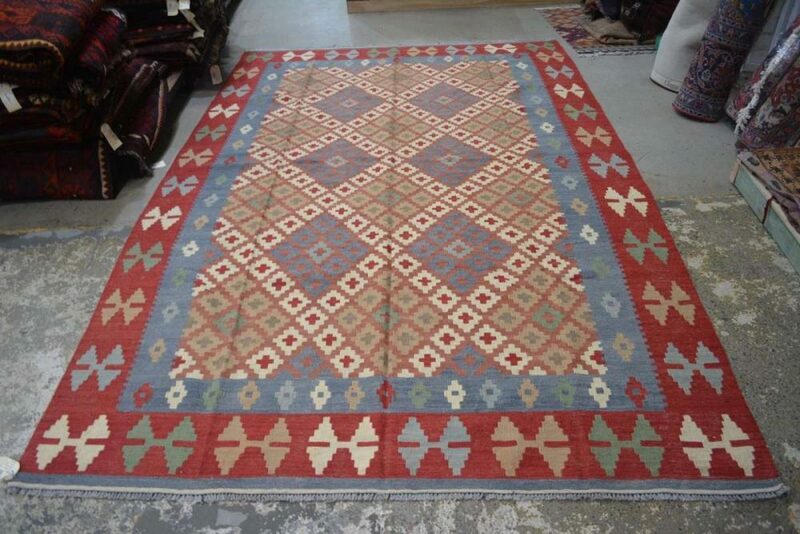 We ship our kilim rugs to Sydney, Brisbane, Perth, Adelaide, Melbourne, or anywhere else in Australia.